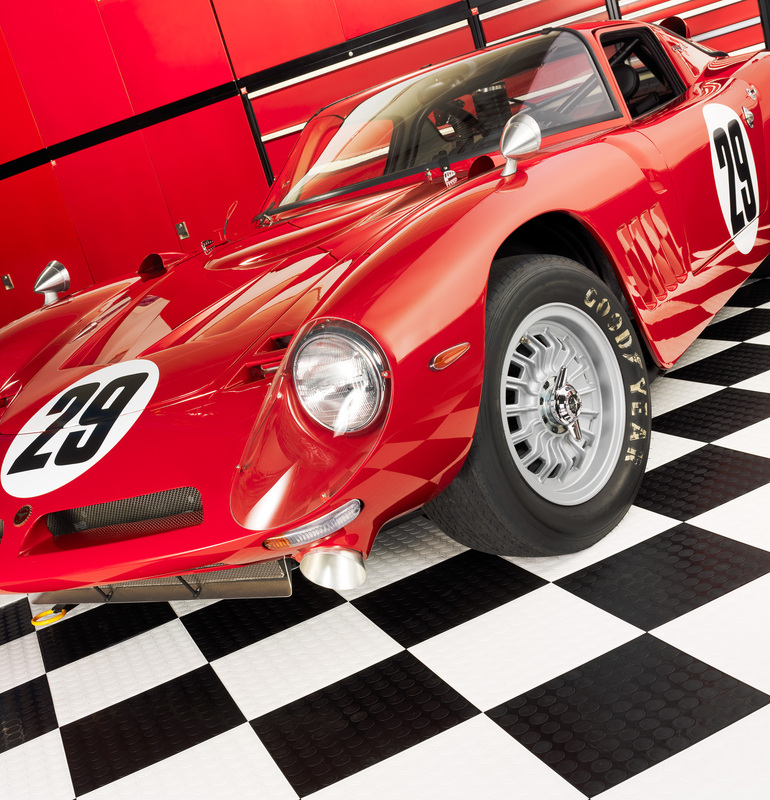 Start Your Engines: Vehicle Photography That Keeps Your Motors Purring | Studio 3, Inc. Here at Studio 3, Inc. we are big fans of big engines, smooth lines, and sleek rides. Our professional photographers have decades of experience working with large vehicles and wrangling all the angles to show those sweet wheels at their very best. 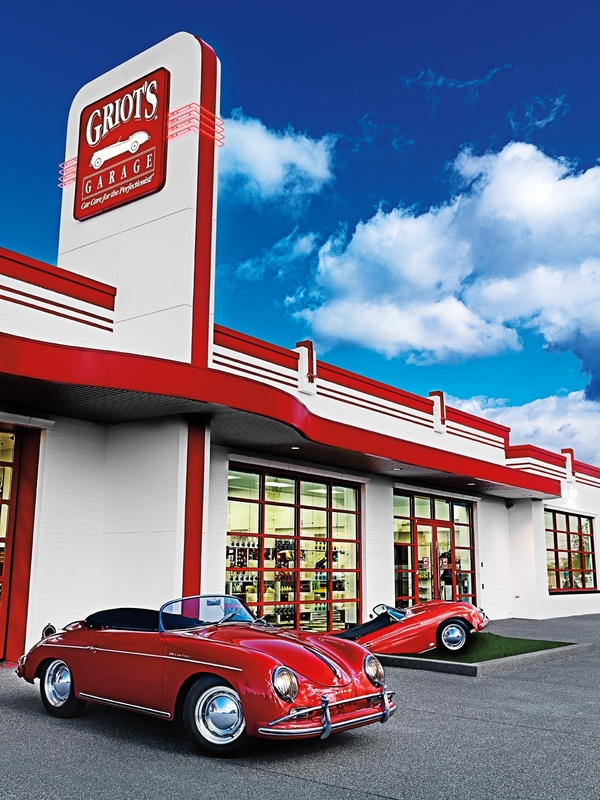 After many years working with Griot’s Garage, we have had the opportunity to add amazing shots of classic and rare cars to our vehicle photography portfolio. 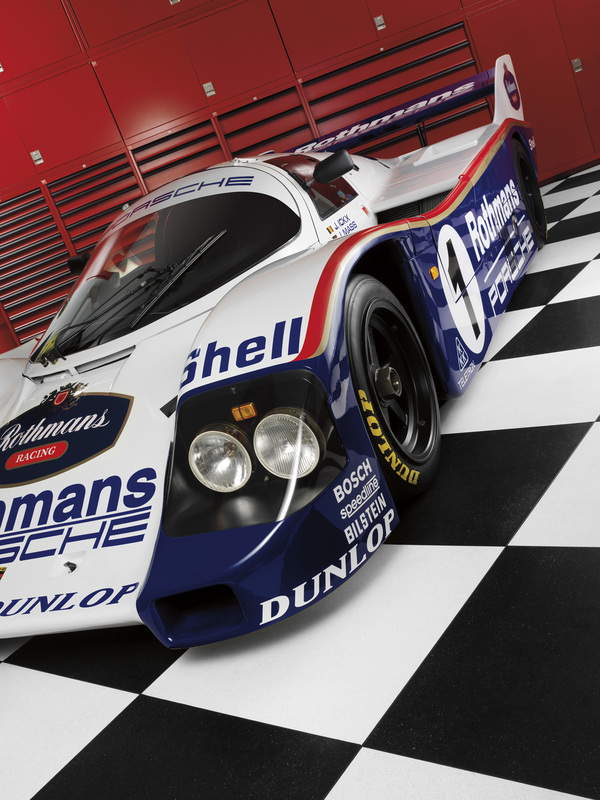 The gorgeous cherry-red car featured above appeared in a Griot’s catalog, as well as the Porsche 956 below. 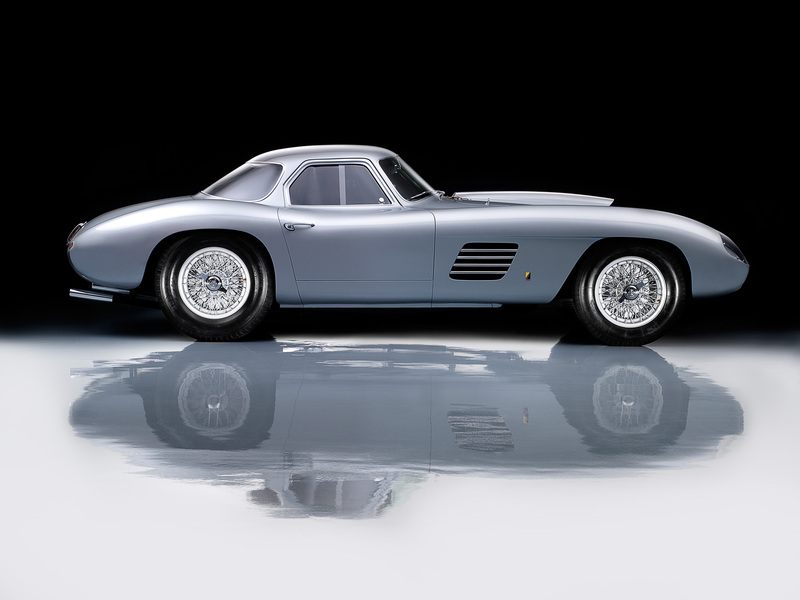 The 1954 Ferrari 375 MM Scagliette Coupe was also in another catalog; read the in-depth story behind this vehicle and its amazing history here. It’s one thing to shoot cars in a controlled environment or a studio; it’s another challenge entirely to shoot outside while exposed to the elements. Yet Studio 3 photographers work with vehicles in action all the time. Above, a shot for Griot’s Garage website. Our work is not just limited to cars and trucks…we also can work wonders with vehicles of the two-wheeled variety. 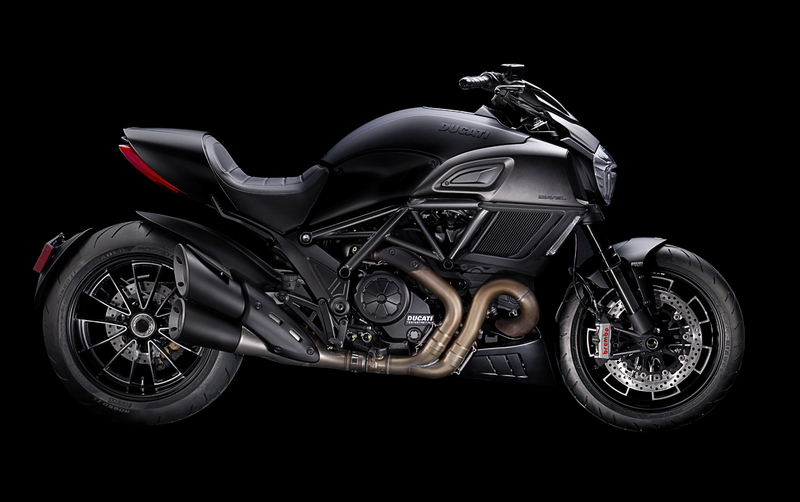 We can make a Ducati motorcycle gleam and pop against black for a promo shot. 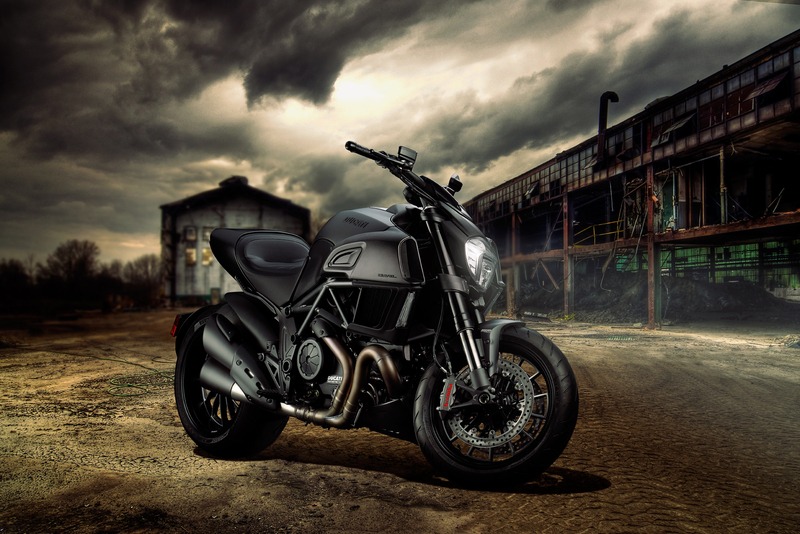 And…the same Ducati bike, placed into a digitally enhanced environment courtesy of our Digital Team: Speaking of digital art, if our vehicle photography needs an extra oomph…our skilled Digital Artists can provide that special finishing magic to create just a touch of excitement to your photos. 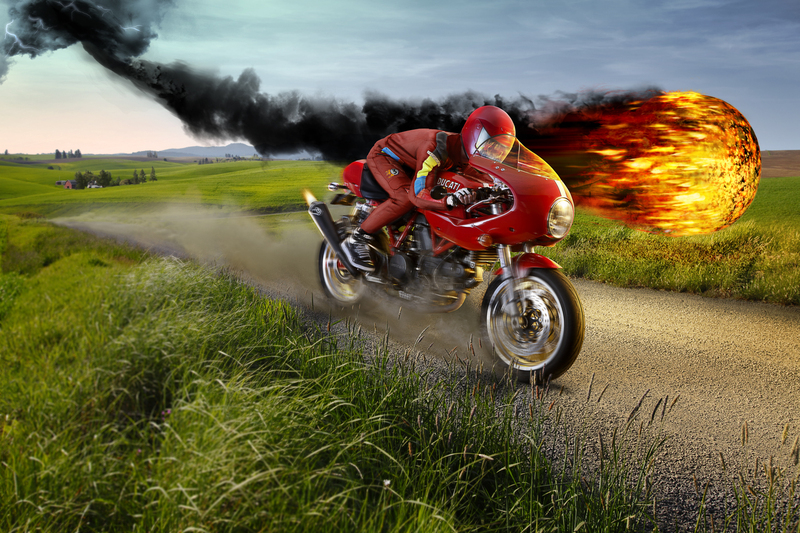 Give Studio 3 a call now to accelerate your 2016 campaigns and see how our Team can rev your vehicles go from 0 to 60 in 1 second flat. 503-238-1748 in Portland and 206-282-0939 in Seattle. Get ready for the ride of your life.